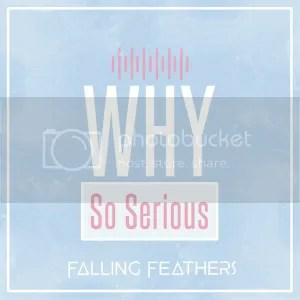 Falling Feathers, the buzz worthy pop artist is back with his sophomore single titled Why So Serious. The highly-anticipated single will be performed live for the first time during Falling Feathers’ opening set for Before You Exit’s concert at *SCAPE, The Tree Top (Level 5) this evening. Falling Feathers wrote and co-produced Why So Serious together with Edric Hwang from GRYD and the track is now available on Spotify, Apple Music and other major digital platforms. In addition, an official music video produced by Falling Feathers with the help of video direction Jeremy Kieran (Jude Young, Narelle Kheng) will also be released on Falling Feathers’ official Youtube channel on 24th March 2017.